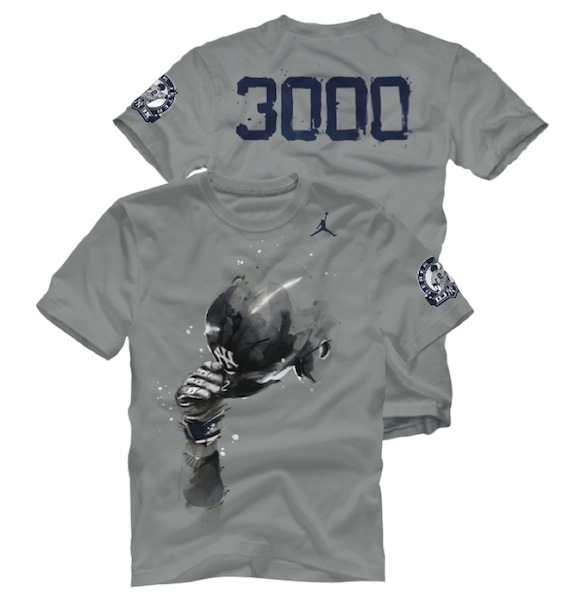 And I thought Jeter’s 2,722 T-shirt was cool (see below). Sadly, I won’t be at the stadium to see Derek Jeter get his 3,000th hit (unless it takes him until July 30) like I was to see him pass Lou Gehrig. But I’m not going to miss out on snagging this T-shirt. It’s a thing of beauty, and it also comes in navy. Here’s me wearing the Gehrig shirt. I can’t believe I’m putting a photo taken by my mother on my blog. River Ave. Blues had the photos of the new Nike shirt.